We have recently completed our third Construction Partnership Project with Belmont Academy and Ayrshire College. This year’s project was delivered in conjunction with South Ayrshire Council. It is aimed at the S3 pupils and last’s a total of 6 weeks. The six week programme consisted of nine lessons teaching the pupils about the various careers in construction. The students at Belmont Academy were asked to send in a CV to apply for the project, with a variety been selected for interview, and a final 12 students were chosen participate. This year’s project was based on the Belleisle Community Hub. The pupils were asked to develop a Holiday Park within the Belleisle grounds, where they produced a layout design, cost plan and programme. They also attended three trade lessons at Ayrshire College covering Joinery, Bricklaying and Painting and Decorating. The project closed with pupils presenting their group task. 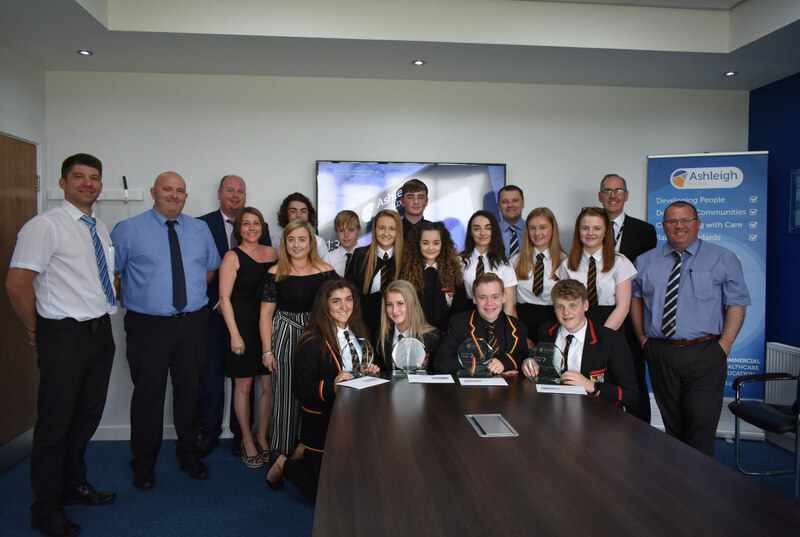 The winning group ‘Eiffel Tower’ were presented with the “Construction Partnership Trophy” along with vouchers to Air Space, Glasgow. Each of the participants involved in the project also obtain their Dynamic Youth Award.